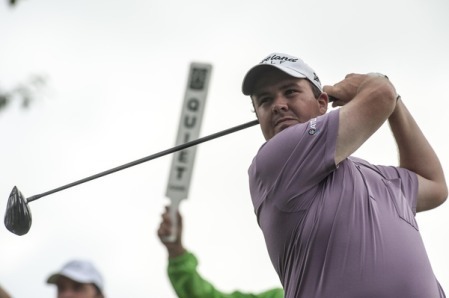 Garth Mulroy in the third round of the BMW Italian Open presented by CartaSi. Picture by Getty ImagesShane Lowry believes he has the game and the confidence to chase down his first victory as a professional in the final round of the BMW Italian Open. The Clara man fired a second successive 67 at Royal Park I Roveri and at 12 under par he knows he needs a round in the mid to low 60s to have any chance of closing a five-shot gap on leader Garth Mulroy. The 34-year old South African will take a one shot lead over Spain’s Gonzalo Fernandez Castaño into the final round with compatriots Rafael Cabrera Bello and Pablo Larrazábal a further shot back. Yet Lowry knows he is playing well enough to finally add to his 2009 Irish Open victory, providing he can take advantage of the par-fives at the picturesque Turin venue. “I actually came here with very little confidence because I played very poorly last week in Holland,” Lowry said after a round featuring seven birdies and two bogeys. “But I hit a good few balls on Tuesday and Wednesday and managed to feel comfortable over the ball and as the week has progressed I feel like I am playing better and better. “Two under the first day, five under yesterday, five under today. Let’s see if we can better than tomorrow and you never know where it will leave me. While he was three under for the four par-fives on Thursday, Lowry’s four at the 18th was his lone birdie on the three-shot holes in his last two rounds. “I am struggling on the par fives,” he confessed. “I’ve only birdied one of them the last few days and they are easy enough. But I seem to be birdieing the other holes so that’s the way it is. “I’d have liked to be 13 or 14 under, that was my goal going out today,” he told European Tour Radio’s Nick Dye after his round. “Hopefully the leaders don’t go too far ahead because I reckon the winning score is going to be close to 20 under. “I am going to need a low one tomorrow. Twelve under is quite a good score but the course is easy and the greens are playing nicely today. I wouldn’t be surprised to see one of the leaders go 16, 17, 18 under today. Gareth Maybin shot a second successive 71 to slip to tied 37th, nine shots off the lead on eight under with Peter Lawrie (70), Damien McGrane (72) and Michael Hoey (72) 11 behind on six under. Mulroy posted a six under par 66 as Fernandez-Castaño birdied the last two holes for a 67 to reach 16 under, while Cabrera-Bello and Larrazábal are a shot further back after rounds of 65 and 66 respectively. Mulroy, 34, said: “I said on the first day the course reminds me a lot of a South African course. The trees and the shape are similar, and the ball goes a little further too. Fernandez-Castaño had seven birdies and four bogeys - two from hitting his ball in the water - but the highlight was undoubtedly a 70 foot eagle putt at the long eighth. “I played well but I had a few unforced errors which cost me a few shots,” said the five-time European Tour winner. “But two birdies to finish on the last two holes has put me back in contention and I’m in a great position for tomorrow. Lowry is tied for 11th place with Matteo Manassero and Ryder Cup players Nicolas Colsaerts and Martin Kaymer ahead of him on the leaderboard. Colsaerts shot a 65 and Kaymer a 67 to share fifth place with Manassero (65), Phillip Price (66) and overnight leader Richard Bland (71) and Frenchman Grégory Bourdy (70) on 13 under. Colsaerts said: “The few adjustments I made to my putting paid off… It is almost like my mind is somewhere else and I can just play freely. 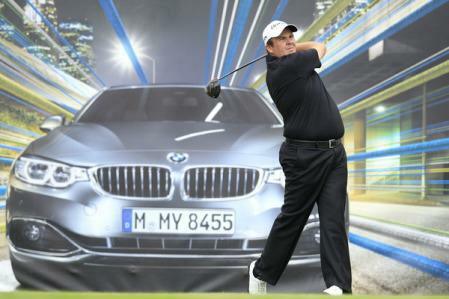 Richard Bland in the second round of the BMW Italian Open presented by CartaSi. Picture Getty ImagesShane Lowry produced his first bogey-free round for five months to join Gareth Maybin in leading the Irish challenge in the BMW Italian Open. Shane Lowry drives on the 15th in the third round of the BMW PGA Championship at Wentworth. 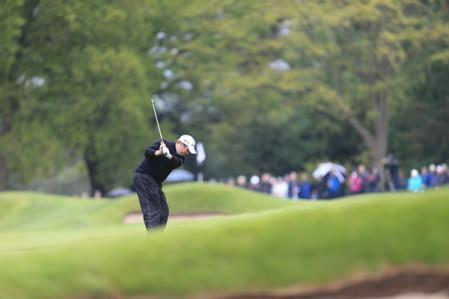 Picture: Fran Caffrey/www.golffile.ieShane Lowry could leap from 79th to 34th with victory in the BMW PGA Championship but while the Offaly man is more than capable, enjoying his golf and feeding off the atmosphere could be key at Wentworth on Sunday.